18th century churchwardens replaced the original East window with a plain window with some tracery and three lights. 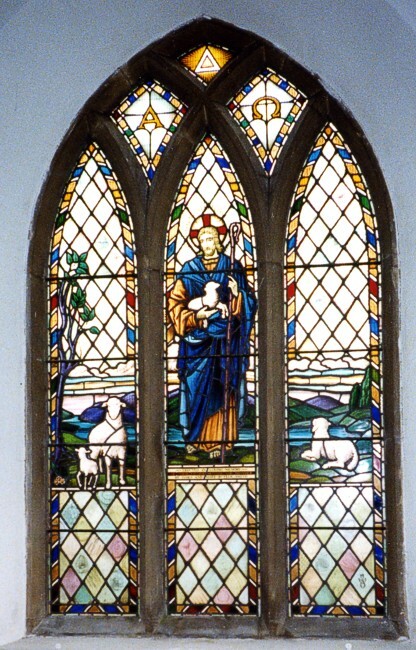 The window representing the Good Shepherd has an inscription, which says, ‘Erected in the memory of their father, mother and brother, by James and Mary Butler Smith’ was erected in 1955. The glass was produced by Pope and Parr of Nottingham. 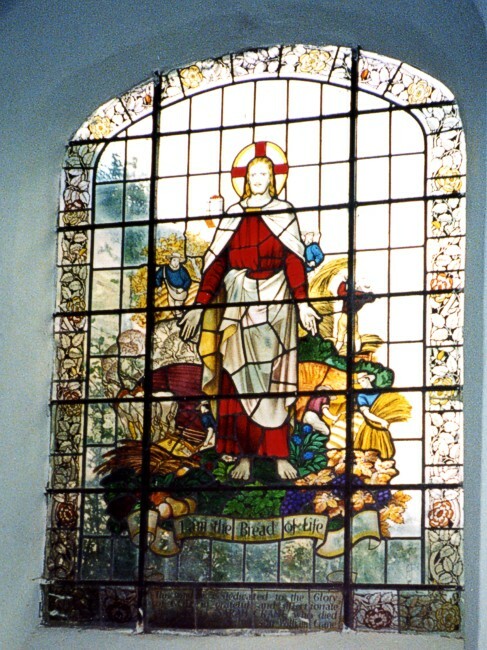 The stained glass window at the east end of the south aisle is dated 1938. It shows the figure of our Lord surrounded by loaves, flowers and sheaves. Beneath the figure of Christ are the words: ‘I am the bread of life’. The glass was produced by the Whitefriars Company of London.